Abandon Seaside! Globe is Flooding! Invest in Arks! So might scream tabloid headlines had news of projections for rising seas, which were contained in a bumper climate report published a week ago by the United Nations, been, well, new. They weren’t. 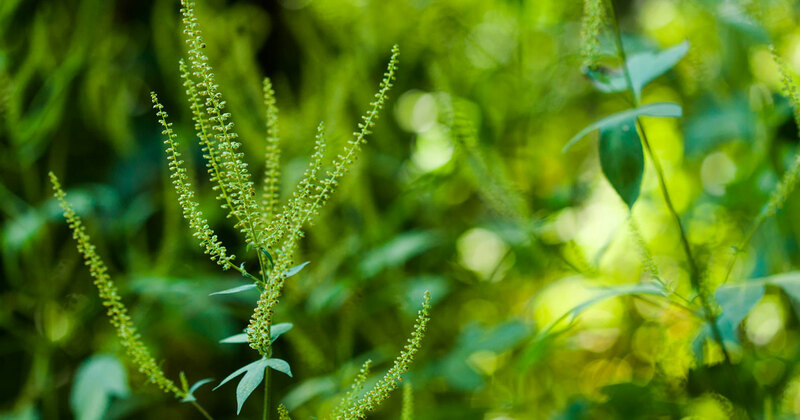 They were a synthesis of previously published research on a decades-old topic. So the latest ringing of multi-decade flood warnings was engulfed in a wash of more general global warming coverage. 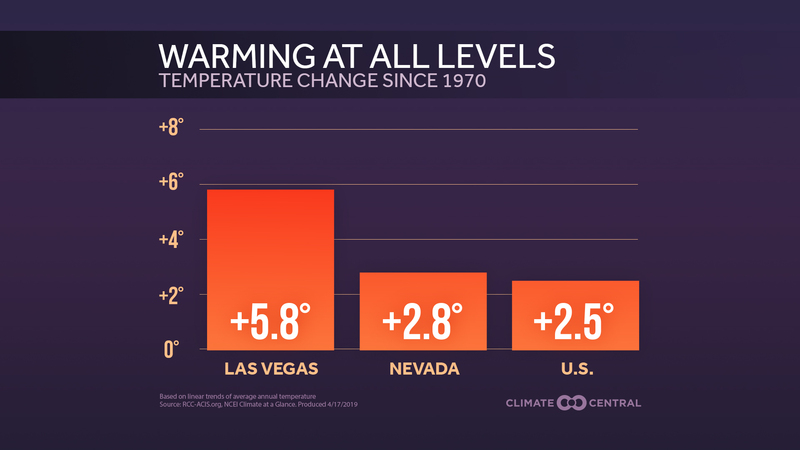 But the sea level figures in the report, while not new to experts (and, by many expert accounts, dangerously lowballed), were nonetheless remarkable — and worthy of urgent reflection. 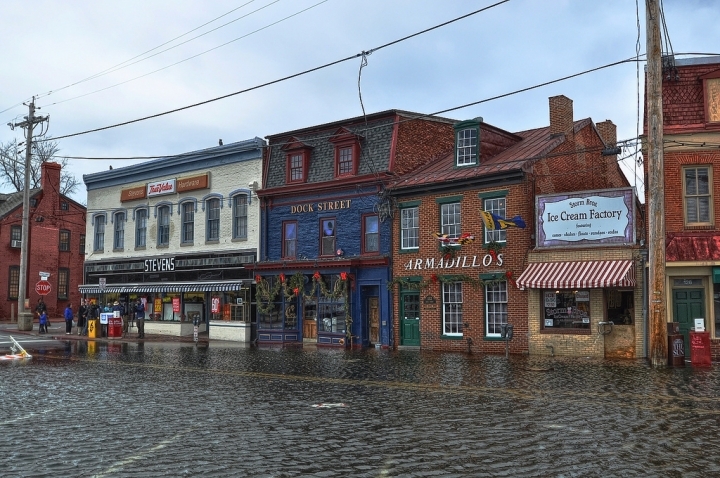 A king tide floods a street in Annapolis, Maryland, in 2012. The report warns that coastal property and infrastructure could be a foot lower in just a few decades than is the case today, portending an unprecedented crisis for which the nation appears to be frightfully ill-prepared. U.S. coastal cities, established in centuries past when seas were 8 inches lower than they are today, are now flooding regularly during high tides. Despite decades of research and warnings, little has been done to defend against the slow-motion marine invasion of landlubbers’ territory. Preparedness is improving, albeit at a pace that would seem to rival the gradual rise of the oceans. A hodgepodge of local, state and national initiatives, while so far woefully insufficient to protect infrastructure and neighborhoods from swelling flood risks, are starting to attempt to adapt to meet the challenges they present. Strategies include efforts to restore marshlands to buffer floods, to raise seawalls to keep pace with sea level, and to retreat from coastlines. The last time the IPCC published a climate assessment, in 2007, climate adaptation was little more than an abstract idea. 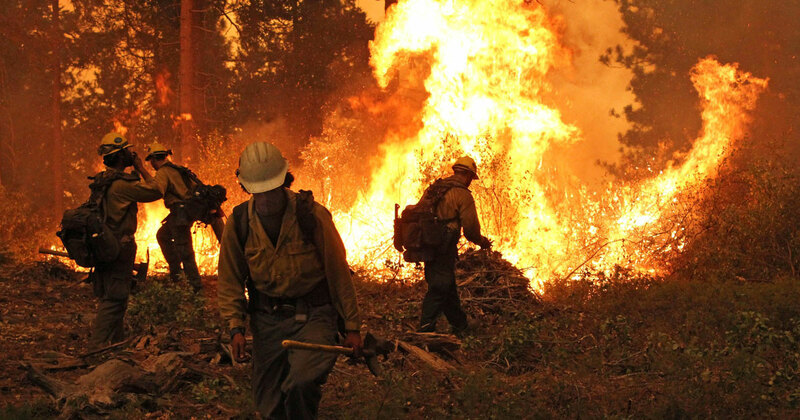 Today, it’s an emerging reality, oftentimes framed as “resilience.” Resilience is a concept that describes the boosting of defenses against storms surges, heat waves and other weather disasters, be they amped by greenhouse gases or entirely natural. A photorealistic view of the classic Venice Beach Boardwalk under 12 feet of sea level rise. Even if the world virtually stopped burning fossil fuels, and rapidly switched over to non-polluting forms of energy, the Intergovernmental Panel on Climate Change’s (IPCC) new synthesis assessment of climate science warns that, between 2046 and 2065, seas would “likely” be between 6 and 13 inches higher than they were between 1986 and 2005. And that’s the best-case scenario envisioned in the report. Under the heaviest of four pollution scenarios evaluated, the likely heights of the seas during the same two-decade period would be between 8 inches and 15 inches higher than they were a couple of decades ago. Projections for century's end are higher still. That could more than double the amount of sea level rise since the 1800s, which will lead to what the Union of Concerned Scientists has described as “incessant” flooding in scores of coastal U.S. cities in the coming decades — unless protective measures are put in place. Not only were the IPCC projections not new, they were so old as to be unreliable. A “flurry of new literature” published after the report’s 2013 cutoff dates suggests they’re conservative projections, said Kelly Levin, a researcher at the World Resources Institute. She recently profiled nine landmark climate studies that were published too recently to be included on Sunday in the IPCC’s synthesis report, including some that related to rising sea levels. “A lot of the new research that we’ve seen since the cutoff has suggested that both the Greenland and West Antarctic ice sheets are far more vulnerable to some of the dynamics that could lead to higher levels of sea level rise,” Levin said. Even without the inclusion of those new findings into the IPCC’s projections, however, Levin points out that the international panel’s projections are frightfully high — “pretty stark,” she called them. A gulf-like disconnect between the projections of sea level rise, and levels of preparedness for those projections, is evident, no matter which numbers you’re looking at. In a historic acknowledgement of the increasing hazards associated with rising seas, San Francisco recently adopted new guidelines to help assess flooding risks when planning infrastructure spending. In a historic acknowledgement of the increasing hazards associated with rising seas, San Francisco recently adopted new guidelines to help assess flooding risks when planning infrastructure spending. California will detail that and other local adaptation programs in an online database that will help coastal planners learn from each other’s efforts. On the opposite coast, Rebuild by Design, borne from the damage inflicted by Hurricane Sandy, is spending $1 billion of federal funds to foster new ideas for rebuilding near affected coastlines. New York City developed a $19.5 billion climate resiliency plan after Sandy struck. New Jersey is buying up flood-prone properties in some areas and converting them to public open space — even though some state officials there are often barred from publicly discussing climate change or sea level rise. Further south, frustrated by the government of Florida’s apathy toward climate change’s impacts, South Miami is trying to lead a campaign to carve out a 51st state — one in which sea-level rise is regarded with a sense of urgency. Federally, the Obama Administration recently published a raft of agency-specific climate adaptation plans, including by NASA, which built launch facilities and other buildings close to vulnerable coastlines. Experts credit Hurricane Sandy with much of the change in American attitudes toward addressing sea level rise risks. Sandy’s storm surge was more far-reaching and damaging than it would have been had climate change not already led to 8 inches of sea level rise. Sandy’s wrath followed the devastation wreaked by hurricanes' Katrina and Andrew, and SPUR’s Tam says the high frequency of such storm-whipped disasters on coastal cities, where populations continue to swell, are changing the climate change conversation nationally. “We have so many more people living in cities now, you’re multiplying the impacts,” she said. 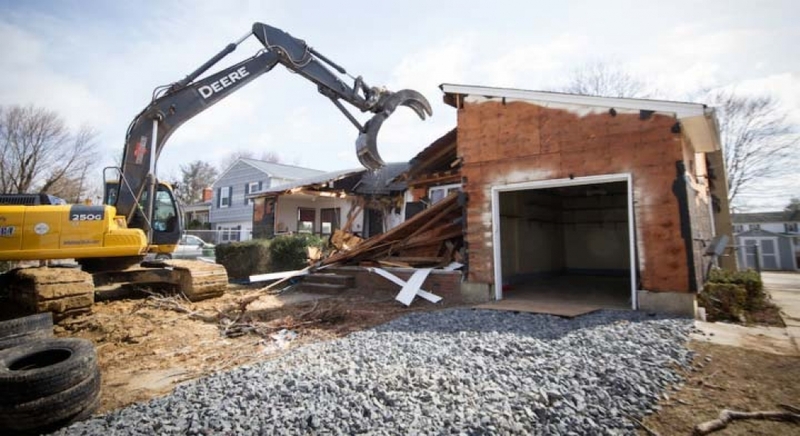 A home is torn down in Sayreville, N.J. as part of a property buyout program aiding inland neighborhoods affected by Sandy. The communities that are planning ahead for sea level rise, however, are often relying on low or short-term projections, said Jessica Grannis, the adaptation program manager at Georgetown Climate Center. The center maintains a database of state climate adaptation efforts on its website. “Politically, I think a lot of people are purposefully not using the high-range scenarios, because they’re so catastrophic,” Grannis said. Despite their high profile, Grannis cautions against relying on the IPCC’s projections, which she described as “pretty low” compared with some other forecasts. “A lot of folks rely on the IPCC, but they tend to take this very conservative consensus-based approach, and they don’t include some of the more up-to-date science,” she said. With sea level rise planning so new in America, even just starting to brace for understated projections would seem to be an important, if inadequate, step up from when the IPCC’s last assessment was published.